These little pots of loveliness are currently enjoying a bit of a resurgence in popularity, and so they should. 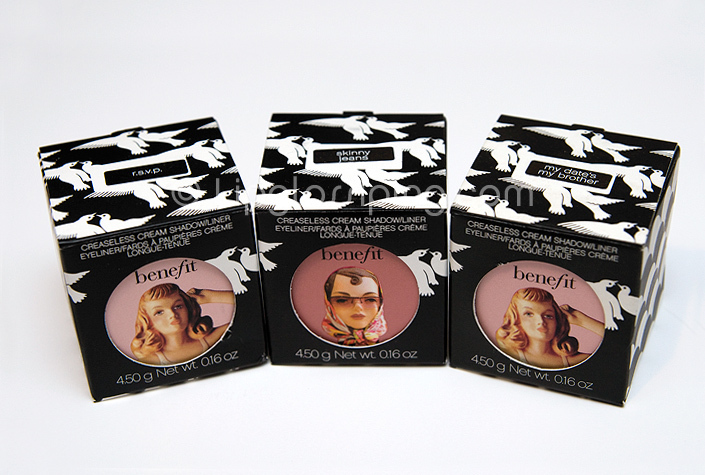 I own 4, yes I can count (just about)… but couldn’t find my ‘Flatter Me’ shade for the photos – boo! Above, from left to right are: R.S.V.P (a peach shade), Skinny Jeans (an oh-so-popular pewter) and My Date’s My Brother (a girly pink). The heavy glass jars seal well, ensuring that your product stays in the best condition for as long as possible before eventually (like most cream products) becoming a little drier and harder to work with. So don’t forget to screw the lids on as tightly as possible! The usual cutesy kitsch Benefit design is apparent on both the outer box packaging and the glass jars. I think I’m in the majority when I admit to being a perpetual fan of this 50s style design. A lot of brands try to mimic the Benefit styling, but none pull if off quite so well in my opinion. L-R: R.S.V.P, Skinny Jeans and My Date’s My Brother. The creams pick up well on a synthetic brush like a concealer brush or simillar. 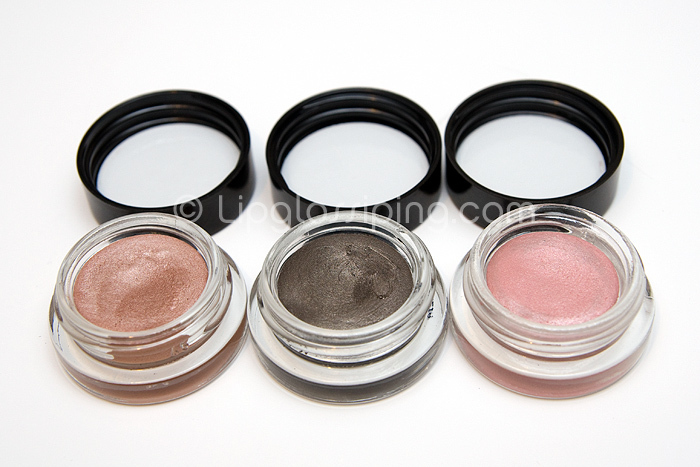 I mainly use my creaseless creams as an allover base which is why I prefer the paler, more neutral shades. I only use Skinny Jeans if I’m doing a smoky eye. My favourite of all the Creaseless Creams I own is ﻿R.S.V.P, it’s a beautiful peach that works well as an allover wash with a taupe shadow (powder) blended into the socket line for some definition. As their name would suggest, these things don’t crease. Infact they don’t budge an inch once set, which means that any other shadows you apply ontop also hold fast. Benefit Creaseless Creams hold a dear place in my collection and I’m always on the hunt to add some new shades! Are you a fan of cream shadows? What are your favourites? I love the Benefit Creaseless Creams, but it’s a good thing you stuck with the lighter shades. I find that some of the darker ones (specifically the Towne Car shade – black-ish) go on sheer and streaky. My only qualm with any creams in pots is that they tend to dry up faster than ones in tubes. I love, love, love these. I have 5 – Skinny Jeans, Strut which are reserved for smokey looks, Tattle Tale which is quite often used as an all over base, Samba-dy Loves Me which looks really similar to RSVP, a really stunning peachy gold and Flying Down To which is a muavey colour. They’re so pretty, I adore them. I don’t think they get enough love. Benefit products are often more about the packaging, so I think a lot of people are put off trying these because of that. 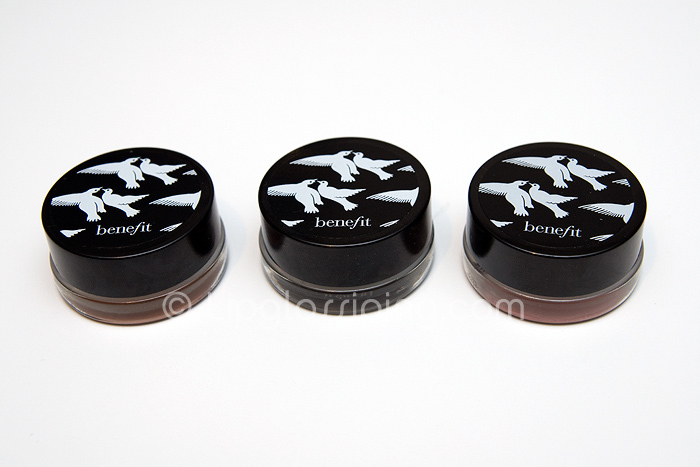 But, they are one of the very best cream eyeshadows on the market, let alone the best of Benefit’s range. I love these I have skinny jeans, my dates my brother, get figgy, and birthday suit are theer any other must haves? I love these! I have three, one of which is my staple go-to neutral brown/gold but i think it was d/c or limited edition. These are hands down better than paint pots in my opinion and dont dry out as quick either. Lovely post! I’ve been wanting to try these for ages, I would usually go for a darker colour but I’m loving the look of R.S.V.P and My Date’s My Brother. Do they crease if you don’t set them with a powder eyeshadow or can you wear them alone too? I have a few different cream shadows: L’Oreal HiP cream shadows (they’re in little paint tubes), MAC paintpots, Stila Smudgepots (liner/shadow), and Benefit Creaseless Cream Shadows. 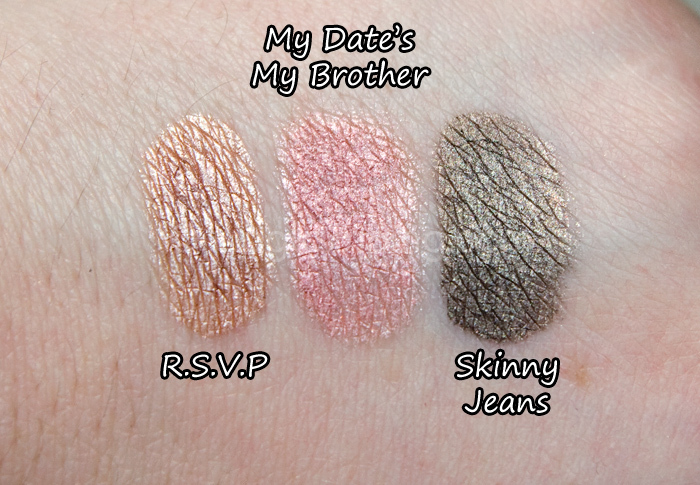 They’re all decent, but I am especially in love with Benefit’s cream shadow in Skinny Jeans. The color is fabulous when used as a shadow, but it also looks great as a liner. I love these too! I’m wearing RSVP today on the lid with MAC Paint Pot in Bare study to highlight. It’s a really quick and easy look when I want something casual and natural. Those are gorgeous colours you have. I keep hearing about these but have yet to try them. I usually use paint pots as bases and Skinny Jeans isn’t similar to any of the ones I own, perhaps I’ll have to try that one some time to create a great smokey eye! I have and love skinny Jeans Great name! I have this in Get Figgy, it’s such a beautiful colour! ah i love skinny jeans! i wore it today hehe and RSVP kinda reminds me of the kitten smudge pot, is that true? I used to like Creaseless Creams but now prefer Shu Uemura’s Cream Eye Shadow… colours are rather limited though. I find the SU ones to go on smoother. I wore My Date’s My Brother without Urban Decay Primer Potion ( a staple for me) and it creased really badly but everyone’s different. Worn with UDPP I got 14 hours of almost perfect wear from Skinny Jeans and it would have been longer but I had to take it off to sleep. I only have Flying Down To but I love the look of Skinny Jeans so think that will go on my list. I’ve been meaning to pick up Honey Bunny since it was used on me in a Benefit make over, it’s a lovely pale gold shade, perfect when you’re not focussing on your eyes but just want a bit of something on there. Who needs the Costas? Duty Free prices this Summer at Debenhams!